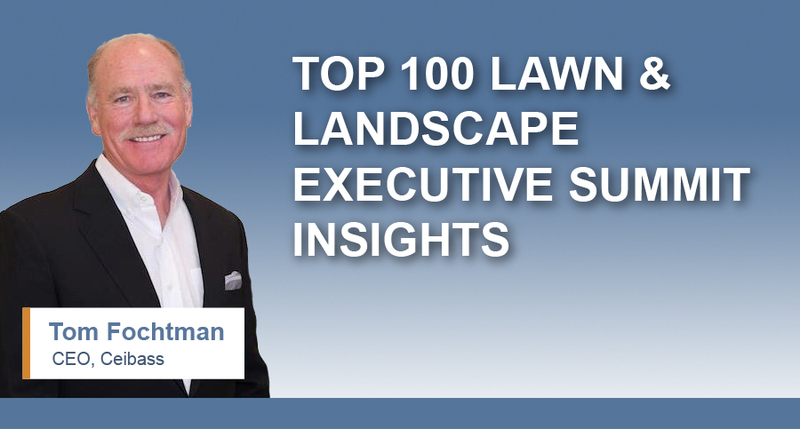 Last week Tom Fochtman, Ceibass CEO, spoke on a panel at the 2018 Lawn & Landscape Top 100 Executive Summit in Denver, Colorado. The Summit is an intimate conference exclusively for owners and c-suite executives from Top 100 lawn and landscape care companies. Interest in commercial M&A activity has never been higher. Multiples have never been higher. Lots of competition from buyers for companies. Great time to be a seller. Actually, best time ever for sellers. Interest rates are going up. There’s a vibrant economy. We’ve exceeded our historic up-cycle length by three years…maybe 2 more years of this strong economy…maybe. Mood is aggressive. Everybody has the gas pedal down. They know an economic decline is imminent but it’s not holding anybody back from investing in their businesses and making it happen. Buyers love commercial landscape maintenance for the recurring revenue model that defines this business. Can verify growth; in revenue, employee numbers, jobs, etc. Love margins on all higher margin revenue like irrigation, renovations, snow, etc. Grass grows, has to be cut. Snow has to be removed. Love the predictability. Most companies could be showing greater growth but are restricted by labor shortage. Getting the work is not that difficult, getting it done – because of labor shortage – is difficult. Almost all TOP 100 had record year in 2017 and will break it in 2018. The good companies are doing at least 10% pre-tax net profits. The great ones 15%. The exceptional ones 20%+.